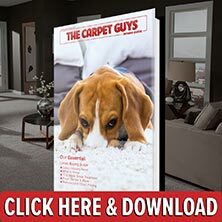 If you are looking to get new carpet installed by the best carpet shop in Independence, The Carpet Guys are here to lend a hand. When it comes to installing carpeting, there is no one better in the business. We have the best carpet installers in Independence working for us, and we guarantee that you will love your new carpet for years to come. Once our installers arrive at your home, they will begin by moving the furniture out of your room free of charge. Once the room has been cleared, they will then remove the old flooring. It is bundled up neatly and placed outside by the curb. After the old flooring is out of the way, they will then roll out new carpet padding and install the new carpeting. They will then take out the remnants and put the furniture back into their original positions, completing the install. If you are ready to get new carpeting installed in your home, schedule a free in-home estimate with us today. We guarantee that you will love your new carpeting for years to come.